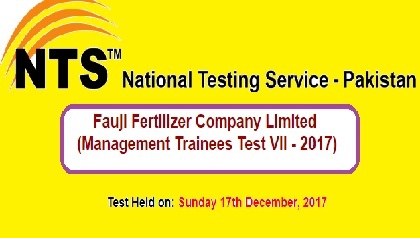 National Testing Service (NTS) has announced the Fauji Fertilizer Company Limited (FFCL) Management Trainees Test VII – 2017. These tests were organised on Sunday 17th December, 2017. Write Your Roll No. and CNIC to Get NTS Result Online.